Rare 8-key flute by S. Koch, Vienna. c.1820. Most of his flutes were 9 or more keys. This flute features the beautifully ornamental Acanthus leaf keys which were popular on fancy Viennese flutes. 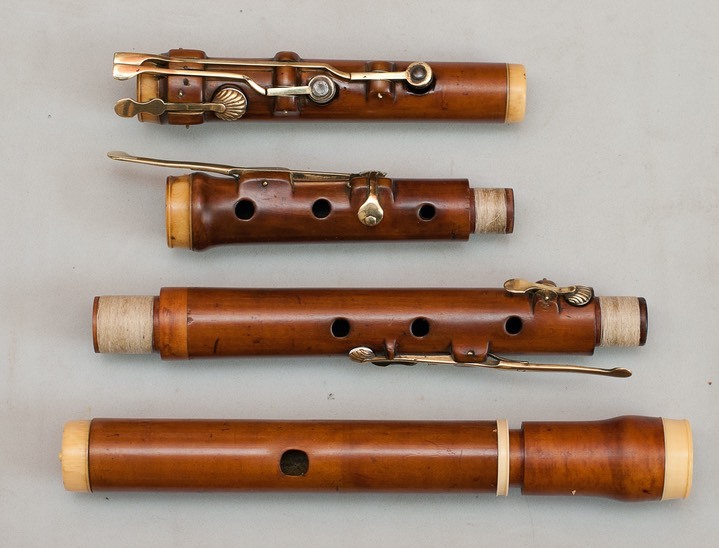 This flute was restored by Boaz Berney and is clearly a flute that has seen a lot of playing. Many repairs were made to this flute over time which demonstrate that its owner valued it highly. 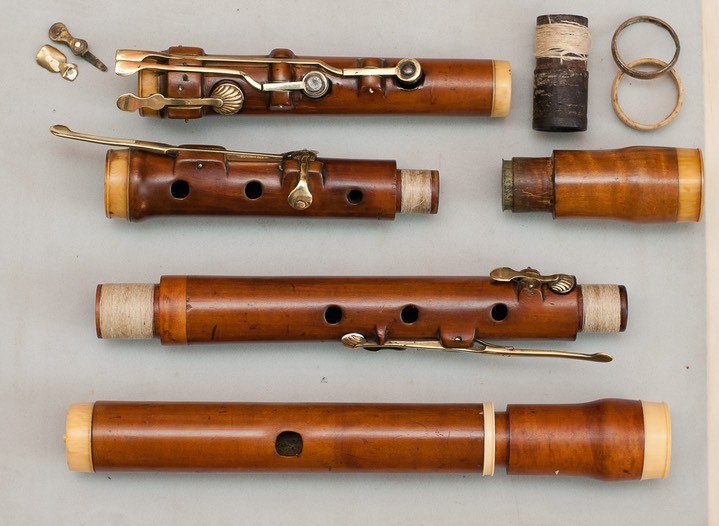 First 2 photos by Boaz Berney - the second photo shows the flute with original and replaced parts.